A diagnosis of periodontal disease can be troubling. The prospect of gum treatment and its accompanying scalpel and sutures is frightening. That’s why Dr. Shahriyar Behjou at Lower Azusa Dental Group offers an almost pain-free alternative gum treatment that is state-of-the-art and FDA-approved. What is laser periodontal surgery? Laser periodontal surgery is a laser-based technique for the treatment of periodontal disease. Dr. Behjou uses the PerioLase® laser to treat conditions of gingivitis and/or periodontitis. The laser uses gentle light energy to remove small amounts of diseased tissue from the gums and helps reduce disease-causing bacteria. Once the infected area is clean, healing can begin. The periodontal treatment itself can be virtually painless with no cutting involved. Local anesthesia is used for your comfort. Without healthy gums, you cannot have healthy teeth. In fact, gum disease is the leading cause of missing teeth in adults. It has also been linked to increased risks for heart attack, stroke, diabetes and some cancers. To help you more comfortably avoid such serious health threats, Lower Azusa Dental Group uses today’s most advanced periodontal treatment laser system – LANAP, or Laser-Assisted New Attachment Procedure. It’s the only FDA-approved laser gum treatment available, and you’ll find it only at Lower Azusa Dental Group. Because we want you to have a safe, comfortable alternative to traditional gum surgery... and a lifetime of healthy, happy smiles. If you’ve had gum treatment before, you know how uncomfortable traditional gum surgery can be. But with LANAP laser gum care technology, the whole procedure can be quicker and easier and much more comfortable. With LANAP, you’ll also heal faster and have less risk of infection. Best of all, your gums will be healthy and your teeth will be more stable. So trust the compassionate, highly capable and experienced dentist who’s committed to giving you great results. Is laser periodontal surgery right for you? Call today for a consultation with Dr. Behjou and find out all of your periodontal treatment options — and take the first step toward a beautiful, healthy smile. 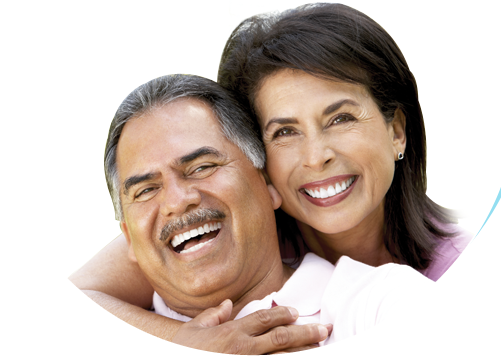 For a gentle alternative to periodontal treatment, come to Lower Azusa Dental Group. Call us at 626-448-2040 or fill out our online Request an Appointment form to schedule a free consultation with Shahriyar Behjou, DDS, MSC. We gladly accept patients from Los Angeles County, CA, including the community of North El Monte, Temple City, Rosemead, Arcadia and El Monte.